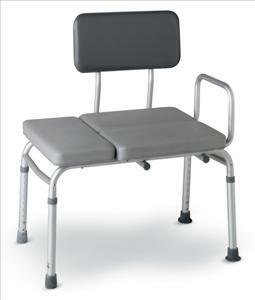 Comfortable, 2" cushioned seat and back are covered in stain-resistant, white vinyl. Wide-base, and suction-cup tips on two legs in tub offer extra stability and safety. Direction of seat back can be reversed easily without tools.